The emcwARe® Suite by AR RF/Microwave Instrumentation provides automated Electromagnetic Compatibility (EMC) testing and report generation for all types of users from corporate to professional test laboratories. Includes Over 500 pre-defined test setups for IEC, CISPR, MIL-STD-461, DO-160, Automotive, etc. 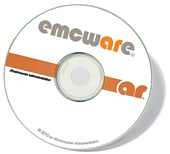 A free copy of EMC software can be requested by clicking on the image above or here. The company started it’s activities in 1999 as emv Benelux B.V., in 2008 it joined the AR Europe group of companies comprising AR UK, AR France, AR Deutschland. The common link is Amplifier Research (AR), a worldwide market leader for RF & Microwave broadband amplifiers and EMC equipment. Our website provides a full overview of capabilities and further information on our partners and products.